Guiness Securities or Guiness Online is a key player in the stock market with hundreds of Guiness Securities Sub Broker working under them across India. Guiness Securities has a history of 33 years of successfully running its business till now and it is having a vast knowledge of the share and investment broking. In this article, you will find the minute details of the company and its partners or Guiness Securities sub-brokers via whom the company does its business. The details are thoroughly analyzed so that you can get the actual information what you need. The article will inform you about the customer experience of the company followed by the brief history of the company and then about details of the business models, revenue sharing, security deposit, eligibility criteria, support, offers, and many more details that you are looking for. The customer rating of the Guiness Securities will tell you about the way the customer of this company thinks and feels about it. The customer has rated their experience with the company at 2.5 out of a scale of 5 which according to the industry is one of the best ratings. The services of the company as per the rating of 2.6 out of 5 suggest that the customers are really satisfied with the services. Following services, the products are also rated at 2.4 which depicts the same thing. This company has also an upgraded and advanced trading platforms and customers seem happy with it that can be analyzed with the 2.5 rating. The company has also made it sub-brokers happy and that can be predicted by the ratings of offers at 2.6, then revenue sharing and security deposit at 2.4 both. The market share of the company stands at 2.4 as well which makes the overall rating of the company 2.5. Guiness Securities was founded in the year 1986 by Kamal Kumar Kothari. It is one of the most popular full-service brokers that is present on the land of West Bengal, Kolkata. The company is a private firm and has been providing sub-brokership to various entities who are eligible and interested to run the business. The sub-brokers code activation time is 31 days while the payout time goes up to 3-4 weeks. Guiness Securities business model is comprised of one single model and that is a sub-brokership business model. Sub-brokership business model: The model depicts a process where the company allows various sub-brokers to work under it against a part of the revenue. The sub-brokers have to get their own clients and then pitch products and services of the company to them, one sale is made they are entitled to receive a certain percentage of the revenue from the same. They need to keep a certain amount of deposit which is the investment for starting the business. The sub-brokers are happy with the revenue sharing as we discussed in the ‘customer ratings’ section and that can be easily justified here. 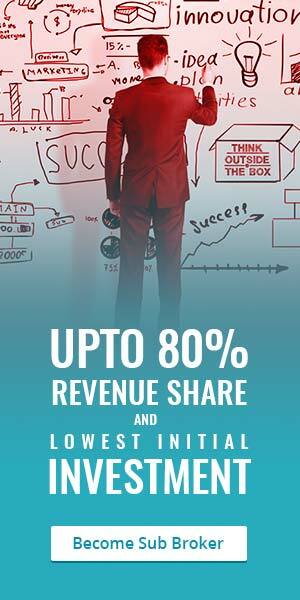 The sub-brokers get a whopping 60% as the minimum share of the revenue generated by them. The figure can go up to 80% depending on the amount of security deposit that sub-broker has kept with the company. The Guiness Securities sub-broker’s security deposit can start from Rs. 50000 if the sub-broker wants to start the business with a minimum amount of security deposit and get the minimum amount of revenue share as mentioned above. The security deposit can be a maximum of Rs. 100000 against which the sub-broker can get the maximum share of revenue. The minimum office area that you need to have is of 100 square feet. The employee strength should be minimum one to take care of the general business activities in the office. The office needs to have a proper high-speed internet connection. There must be advanced trading terminals in the office of the sub-brokers. The office must have a telephone connection so that the customers can reach out when needed. The sub-brokers of Guiness Securities gets all kind of support facilities from the company which help them run their business successfully. The Marketing support coupled with back-office support for the better functioning of the sub-brokers is always provided by the company. Apart from these two, trading and, advisory support for the benefit of the clients and the partners are provided and not only these, even the company help the sub-brokers by providing thorough dealing training. The Guiness Securities brokerage charges are around 0.39% on equity delivery, 0.04% on equity futures and equity intraday transactions and also on currency futures and commodities. The company charges Rs. 39 per lot on equity options and Rs. 29 for the currency options. As a customer of the Guiness Securities, you can open an account with just Rs. 100 and can maintain it throughout the year for Rs. 350 only. The trading account maintenance is nil. The minimum margin money that the client has to keep is Rs. 5000 and the transactions are charged at 0.00311%. Extremely supportive team members of the company and the customer care team.